I reached-back for y’all to let you know that I wrote music reviews from 2004 – 2011 for About.com/dancemusic, etc. I found this one, “about” a special U.S. edition and ninth in the series that was out and about with tracks to set you smack dab into the party groove from their first beats and rhythms! I still love it and I just found the double CD again while boxing for the “Exodus”. 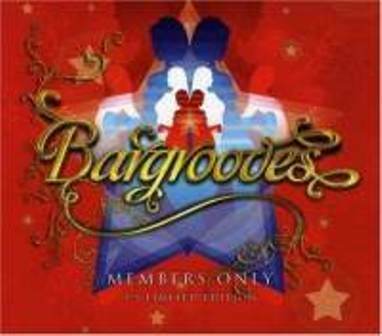 Here we have a snazzy, attractively packaged double-disc dance CD set “Bargrooves – Members Only” US Limited Edition [Gossip Records GOS-CD-609]. It is a assemblage massed across the great pond by the UK’s Ben Sowton and the Native New Yorkers. You might want to have a little fun by allowing your musical mind’s eye to view it as a kind of “competition”! Flavaful cover art work and advertising that your “whateva” is a “limited edition” is like putting an “Esq.” or “Ltd” behind your name, intensifying the curiosity and in this case you are well within your mounting intensity to scope this work and include it in your desideratum. Bargrooves are smooth and at times, almost jazzy dance cuts that play in continuous mode garnering the feel that you have a DJ on your home site, or if your are in the early pre-party preparation stages of your club, you can run these CDs before your DJ arrives and hopefully get your staff in a less mundane mood. The first time I pressed play to peruse these, I imagined myself early after-work at a trendy Bar “X” in Soho; getting libationally loose and this music as the slightly-above-subliminal soundtrack. It was a guaranteed party feel, and I couldn’t wait for the place to start filling-up with potential dance partners! Label creator and late-night DJ bar entrepreneur Ben Sowton’s disc one is mid-deep House from the outset; surprisingly un-UK-ish, and includes more instrumentals; one of which is the slightly Gare-age-ish “Les Couleurs” by Sebastian Davidson. He weaves in some Soularis seamlessly with “Closer”. That is followed by a sure-shot “get the party started” version of the staple “It’s All Good To Me (Matty’s Soulflower mix)” from someone called Physics. Rippaa!! Next on the marquee is one of our favorite contemporary dance vocalists, lady Tiger Lily with Mike Polo on a version of Nate`’s “Free” that doesn’t compromise and only enhances the message of that classic. A little further into it, it really gets polished on the tantalizing “Time In Motion” by Jay Lumen/Superflava with vocals by Sophia Cairo. The slightly more stylish Disc two is New York City-style in pace, vocals and flow. From the first note on disc two, Central Avenue’s “Tell Me” brightens your mood even though the subject matter here is the breaking-up of a love affair. On both discs track seven is the lucky number; whether it is Ross Couch’s “Got To Be Right”, or Hott 22’ featuring Angie Zee on “Just Friends”. The latter building the intensity for the rest of the jams to follow on that disc. As I used to say while tooling around Manhattan to a Frankie Crocker/Jonathan Docker mix on WBLS about twenty years ago, “It’s got that wheeze, baby!” I even used it to get my Pajama Bar party started on the air this past Leap Day, so you know it is good! My favorite of the entire set is “Life Is Like” (number nine) by Richard Gow with Cathy Campani delivering the sultry vocals in a foreign tongue. I had to look to make sure that I they had named the song correctly because I expected to read a non-English song title the companion track on Ben’s disc which reads “Mariposa” – one of Ben’s movin’ instrumentals, by the way. But no, her sultry, lissome foreign language stylings are more than copacetic with me no matter the title. Actually, there are no bad cuts herein! Both albums can be felt as “lounge” grooves as well, and if that label will help you to go check them and buy, then by all means, have at it! Other categories include “soulful house”, “dance-pop” and “tech with an edge”, they tell me. Hopefully U.S. radio will get hip to this one quickly as apparently most of Asia including my Russian girls, and the southern Pacific islands including Australia are already on it. I can glean no reason to deduct points here. So hear the “grooves” yourself as I set the bar at five “you-won’t-be-sorry” stars. And on that “competition – it’s a stalemate, from your ears to your dancing feet, we all win!! Listen and comment back at me, ok? Pickhitt: The group Soularis (playing above) is from Russia, by the way. I interviewed and reviewed them separately also circa 2005. The catalyst of this post is my anthem and theme song of pleasant St. Valentine’s Days past and especially present with prayers and hope channeling the future. By the time you read this (“except on the west coast” lol), yours is likely settled, over and I hope you got “some” of whatever it is that you desired, if only attention and the promise of future mutual relations. You see, all the object of your desires needs is your undivided attention, some creativity, respect and truly undying love; that isn’t too much to ask, is it? 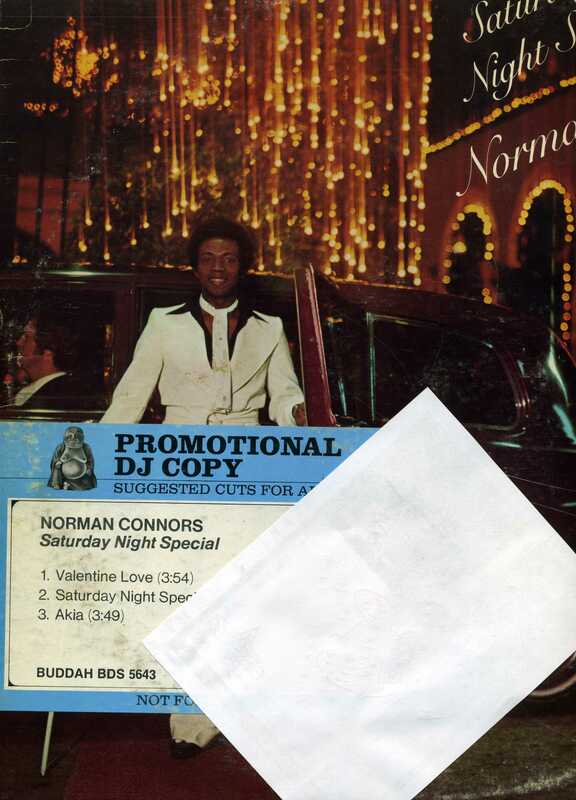 “Valentine Love” by Philly’s own Norman Conners, featuring the voice of Jean Carn who I once introduced on-stage at Eisenhower Park’s bandshell in Nassau, New York, remains as the number one record that comes to mind on this now, mostly commercial day of remembrance. In my world, when you have found the “one”, every day is a day when “Cupid” interacts with your romance, and you had better let him or her know it. The album “Saturday Night Special” came into my young DJ hands via my friendly promo executive at Buddah Records, whose name I cannot recall at the moment, back in 1975 in New York City. 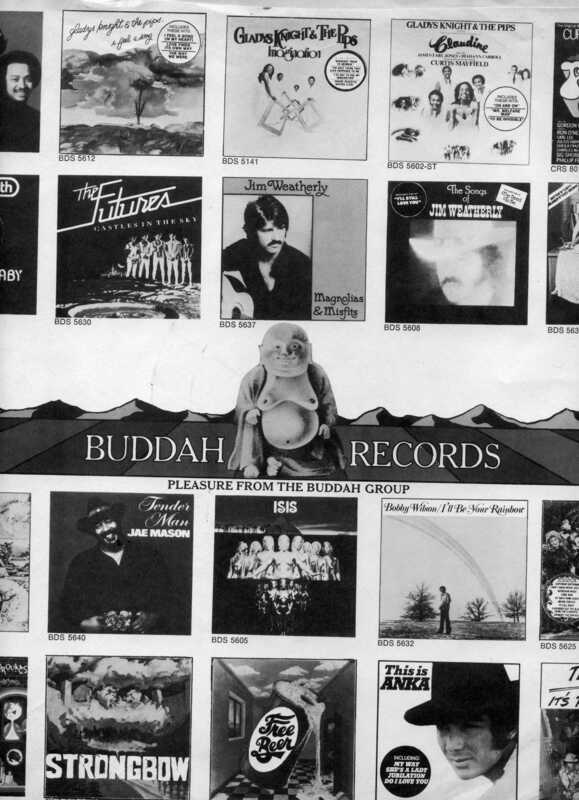 Buddah had a kind of “pleasure” sound, whether it be soul, rock or comedy and thier vinyl is slightly heavy and everlasting. I have noticed that all the labels had their “own” studio sound that set them apart from the rest. “VL” was a hot cut introduced to our ears by, you guessed it, Frankie Crocker’s WBLS FM back then. Norman Conners played “Gretsch drums (like Ringo Starr) and Latin percussion instruments” according to the back cover’s credit notes. 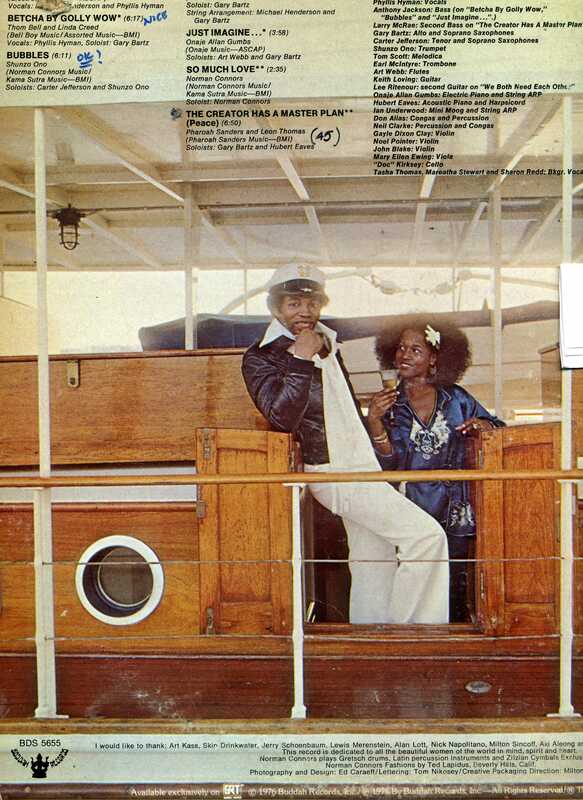 Also on this Lp is a version of Herbie Hancock’s “Maiden Voyage”, but interestingly, Hancock is only featured as playing on another cut on the album, “Kwasi”. One of my true favorite bassists, Michael Henderson, played on many of the sessions in those days, and is all over this record with that round, full and smooth bottom (and maybe some vocals) herein 🙂 We played the grooves off of “Valentine Love” back on our university radio station, WBAU FM, in 1975. The only other Norman Conners album I have is his 1976 follow-up, “You Are My Starship”. The title track being another song for your Valentine’s Day repertoire, featuring Michael Henderson and on the album, my dearly departed too-soon via self-deliverance, diva friend Phyllis Hyman. I’ll never forget the time she came up to me and introduced herself at a “welcome to WBLS” party thrown in my honor at the NYC nightclub “70-West”. I was sittting there by myself, “hiding” in plain sight but away from the action with my beverage, when suddenly this voluptuous hand appeared in-front of my face. When I looked up, it was the first time I saw a “diva'”, square-shouldered in a black cape and matching chapeau, looming over me as she said in a kind of deep voice for a woman,”Hye, I’m Phyllis and you are…?” [she knew of course]. We always had fun with the lyric, “And don’t you come to soon” on “Starship” I wonder if he meant that kind of “coming” to this day? Other cuts on “Starship” of-note are his version of the Stylistics’ “Betcha By Golly Wow” (with Phyllis shining and Gary Bartz on sax solo) and “Bubbles” which I liked to use as a bed while doing PSAs, promos and other, sometimes “non-commercial”, announcements. Lately I wax sentimentally about how “things” have changed, and not necessarily for the better. Then I always catch myself, for I remember how bitter those sentiments sounded when my parent’s generation (the “GI generation”) espoused similarly. Then the verse came to me from a past favorite song that is just as relevant today as it was in 1973 when they sang it for the first time. It is from a song called “Shoe Shoe Shine” by The Dynamic Superiors; “Shoe Shoe Shine used to cost a dime, A penny would buy you plenty/A nickel was a fare that’d take you anywhere, Troubles we didn’t have many…” penned by my radio personality days acquaintances, Nick Ashford and Valerie Simpson. So I am reminiscing the “good ole days” for my generation (the Baby Boomers), in a similar way as our forefathers did and as every generation will as they age until the aliens really DO come from a far away world in another galaxy, and make prices fall simultaneously with the sky, paving the way for the income of a species that will rise to scorn that we humans squandered thousands of opportunities to finally get it right…or not. At least that is what tonight’s full moonlit crystal ball is revealing here in me humble casa. Pickhit: Obviously and joyously effeminate (which wasn’t an issue back then), Tony Washington’s sound was so unique! I miss it. On “Feeling Mellow” he really stretched-out in 1975; Yes, that is emcee Don Cornelius (LOL); “Love, Peace and…SOUL!” who appears to ignore Tony, by the way. Hmmmm… I would have let the lead singer be the spokesman for the group in the interview. 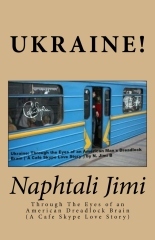 And NOW, once again, for something completely different: As we near the beginning of Autumn on September 23rd, 2010, it strikes me that to many some things are now “out of season” with the “end” of another summer meteorologically and astronomically. Therefore, let me hip you to this one thing: whatever you dreamed of happening during this past summer, can still come to pass as the leaves “fall”. And so, to that point and because I have the musical mind that I do, I dedicate this post to all of us with dreams – may they never be out of season. yees, my friend, THIS is a rare “two-fer” from yours truly…these guys really SANG…let us bring that back; coach the young “Hip- Hoppers” to take it to the next level and actually SING is my challenge. Remember, Dreaming Is (never) Out Of Season if we are to have a chance to make them come true! Does anybody reading this remember this sound? I’ve got more if you like it…I’m thinking about another group of this era right NOW!